Today is Saint Patrick’s Day. Although it is celebrated in many places all around the world, I like to think that the best celebrations happen here in Ireland. I would have loved to show you pictures of the parade, but I didn’t go to see it this year. However, I did wander into town after the parade had ended. I saw people at various levels of drunk, none causing anyone any harm. I love the cheering and joy of Saint Patrick’s Day; everyone just gets to have a good time. Saint Patrick was brought to Ireland when he was sixteen, he was kidnapped. God came to him in a dream and told him to escape, return to England and become a priest. He later returned to Ireland, now a bishop, and educated the Irish, who were at this stage pagan, about the Holy Trinity, using a shamrock. This is why the shamrock has become associated with Saint Patrick’s Day. 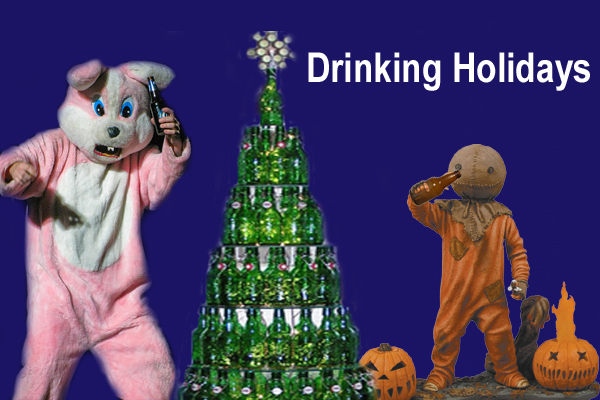 When you look out at the people celebrating and drinking, it’s hard to imagine this is a church holiday. Not that I’m complaining, just remember; St. Patrick’s Day is like Christmas’s drunk little sister, sure she doesn’t do as well in school, but she’s the life and soul of every party. I wonder will other holidays evolve into fun party drink days too. 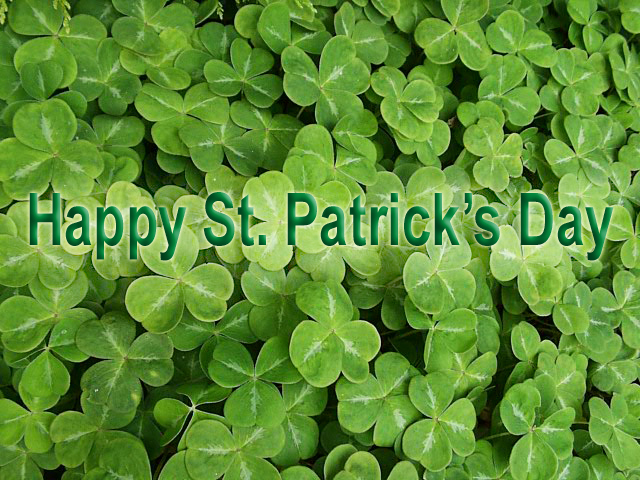 How did you celebrate Saint Patrick’s Day? Let me know by voting and leaving a comment below. This entry was posted on March 17, 2011 by adamodwyer1. It was filed under Seasonal and was tagged with about, alcohol, be, beer, bishop, bottle, bunny, celebrate, celebration, christmas, church, day, days, did, do, drink, drinking, drunk, drunken, easter, england, evolve, history, holidays, how, if, into, ireland, irish, it, levels, like, little, of, on, or, origin, other, paddys, parade, party, patricks, pictures, priest, r, saint, sam, seasonal, sister, st, the, too, town, treat, tree, trick, were, what, would, you.